Girls long sleeve oxford blouse with button down collar. Long sleeve oxfords are required for chapel. Girls long sleeve oxford blouse with button down collar. Printed with school logo. 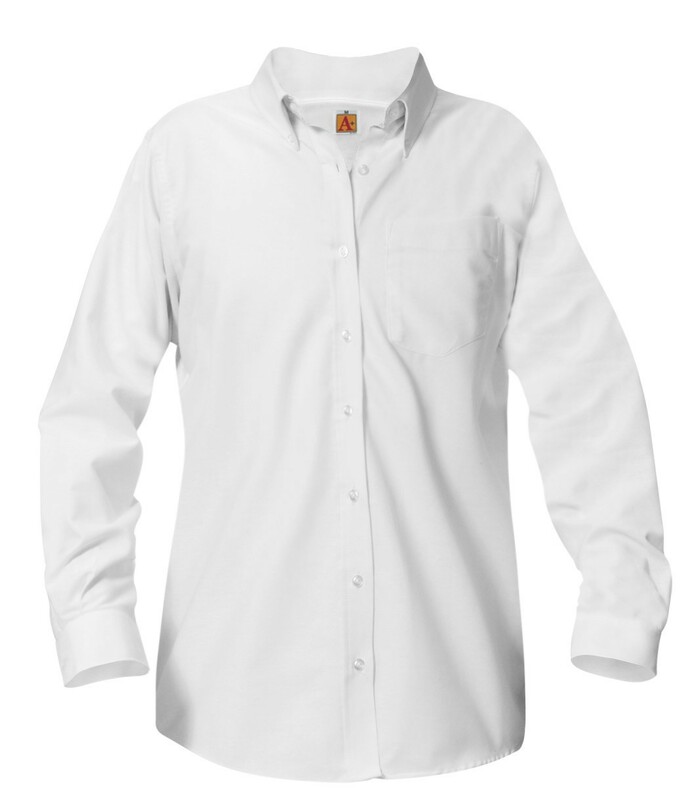 Long sleeve oxfords are required for chapel.